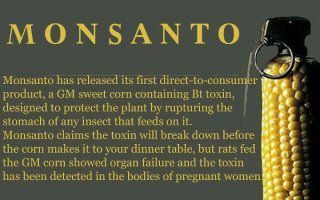 This is one of the many reasons why people eat organic food. The human body was not designed to process a foreign influx of chemicals and pesticides. Why do you think there’s been an astronomical rise in the rate of cancer, obesity, autism, allergies, chronic health problems, etc. in children and adults? Healthy soil and healthy food = healthy and happy people. Mood is intricately tied to the foods we eat and don’t eat. All diseases and health problems are almost exclusively caused by eating the wrong foods, not eating the right foods, toxins in the air we breathe and water we drink, lack of exercise/movement, and stress. Did you know medical doctors in the U.S. have little or no in training in nutrition science, because the curriculum is heavily influenced by the food and drug industries? Be informed – prevention is the key to enjoying lifelong good health. You don’t know how important your good health is until you lose it. #1 pieces of advice – eat organic food that comes from the earth at every meal, shop for almost all your groceries in the fresh produce aisle, and read up on alkaline foods and their enormously positive impact on physical, mental, and emotional health.